Reasonable Cause Searches. District administrators may search students’ possessions and their persons as permitted by law. Other school staff members may conduct such searches only if authorized by a district administrator, or if it is necessary to protect the safety of students, staff members, or patrons and delaying the search to inform an administrator presents a safety threat. Additional Searches under Certain Circumstances. The district has seen a significant uptick in the number and frequency of student misconduct incidents related to possession of drugs, alcohol, weapons, and other contraband and dangerous items on school grounds, in school vehicles, and at school activities. The district also has a history of increased violence, drug use, alcohol use, and other dangerous activities compared to other school districts. Each year, several students overdose on alcohol or controlled substances, often related to use, possession, or sale on school grounds, at school events, or in school vehicles. Administrators have discovered empty containers which were proven to have contained drugs or which constitute drug paraphernalia on and around school grounds and in school vehicles. While the district utilizes sniffer dogs pursuant to board policy, the dogs cannot detect all such substances or items and cannot be used regularly enough to cause a sufficient deterrent effect given these unique circumstances of the district. Other times when, in the professional opinion of the superintendent, the safety of all present at school and/or the need for operational efficiency outweigh the interests of the students who are searched. 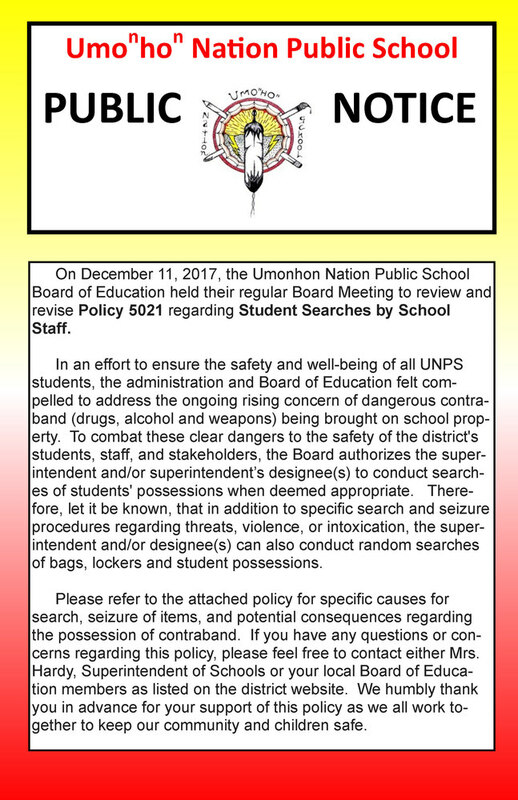 Upon discovering any such items while conducting searches at school or on school-sponsored trips pursuant to this section, the appropriate administrator will confiscate the item, notify the student’s parents or guardians, and make any other report as required by law. When appropriate, the administrator will refer the matter to the appropriate school crisis team or authorities to determine threat assessment. The student will be permitted to enter the school building and attend class unless the threat assessment team, law enforcement, or administrator decide otherwise. When appropriate, district administrators should err on the side of removing the item from the student’s possession and allowing the student to attend classes that day to achieve the maximum benefit of the deterrent and safety effects of the search while also increasing positive outcomes for the student. The board delegates to the superintendent or superintendent’s designee to implement this policy and to establish any other rules, regulations, or practices which will assist the superintendent or superintendent’s designee in carrying out the policy or preventing any of the dangerous situations and circumstances outlined above.